The HubSpot Marketplace allows you to purchase templates and modules that can be used in your HubSpot content. Please note: the Marketplace only accepts payment via credit card. 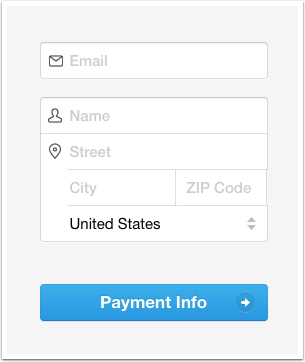 All transactions are made through Stripe (where supported), or Paypal. Once you purchase a template you will be prompted to enter your credit card information. Category: select the product type you're looking for: templates, template packs, or modules. Price: filter for Paid or Free templates and modules. Purpose (templates and template packs): filter for templates designed for a specific use case (e.g., About Us page). Built with (templates and template packs): filter for templates using HubSpot's drag and drop template builder or custom coded templates. Features (templates and template packs): filter for templates that include specific design features. Functions (modules): select up to three filters for the type of module you're looking for (e.g., banner). Layout (templates and template packs): filter for templates based on layout. Choose from 1-Column, 2-Column, 3-Column, 4-Column, or Multi-Row. Industry: filter for templates designed with a specific industry in mind. Works with (modules): select the content type(s) you'd like to use your module for: blog, email, or website/landing pages. Provider: filter for templates and modules created by a specific provider. Click a template, template pack, or module to view the details. To preview it, click View live example or Test this module. Enter your email address and credit card information, then click Payment Info. Once the transaction is complete, you'll receive a receipt and your purchased item(s) will automatically be added to the design manager (Marketing > Files and Templates > Design Manager). The name of each template or module will match the name that appears within the Marketplace. Hover over a template (if the template is part of a template pack, click the arrow to expand the pack). Click the Actions dropdown, then select Create an email/landing page from this template. Please note: if you don't see your purchased template in the Purchased tab, please reach out to HubSpot Support for further assistance. In your HubSpot Marketing Hub Basic, Professional, or Enterprise account, navigate to Marketing > Files and Templates > Marketplace. Click the Purchased tab, then click the name of the template or module. Click Email support in the right sidebar to contact the provider.